UPDATE: From Software just updated their official PC requirements and these are now slightly higher than before. ORIGINAL STORY: Dark Souls 3, the latest entry of the action role playing game series created by From Software, is getting very close to its Western release on consoles and PC, and more for the PC version started coming last week, thanks to an IGN livestream showcasing this version of the game for the first time. A few hours ago, additional details have also come in thanks to a German website. German website GameStar has revealed some very interesting details about the PC version of Dark Souls 3, such as the maximum FPS possible, settings for HBAO+/MSAA/SMAA, how the controls work and much more. NeoGAF forum member Bl@de has provided a summary of the German article, which you can check out below. “GTX 770 enough for 60fps in highest settings”. GTX 760 offers around 40-45fps in max. settings. So take the GTX770 numbers with a grain of salt. I think you will have to turn some settings down on the GTX770 or play with 50fps average. No specific settings for HBAO+/MSAA/SMAA. SSAO from Low to High and AA on and off – That’s it. Dual Core CPU is enough to start the game :/ (no comment about performance). Long loading times though. M+KB controls are iffy. Mouse has trouble with 4K resolution. Game crashed a couple of times (FROM told them that they are still optimizing). GameStar has also shared a video comparing the game’s low and high settings. You can find it right below. 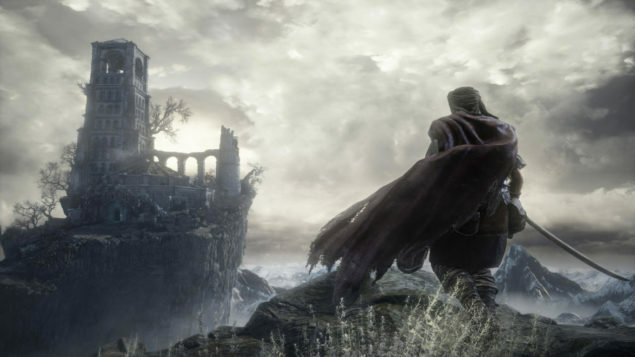 Yesterday, the full Dark Souls 3 Trophy List has surfaced online, revealing all players will have to accomplish in the game to obtain the Platinum Trophy. The list includes some heavy spoilers for bosses and Covenants, so avoid taking a look at it if you don’t want to spoil some of the game’s surprises. Dark Souls 3 launches in three days, March 24th, in Japan on PlayStation 4 and Xbox One. The game finally launches on PlayStation 4, Xbox One and PC on April 12th.